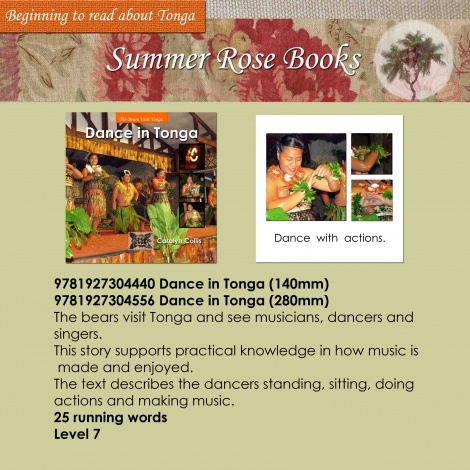 The bears visit Tonga and see musicians, dancers and singers. This story supports practical knowledge in how music is made and enjoyed. The text describes the dancers standing, sitting, doing actions and making music.